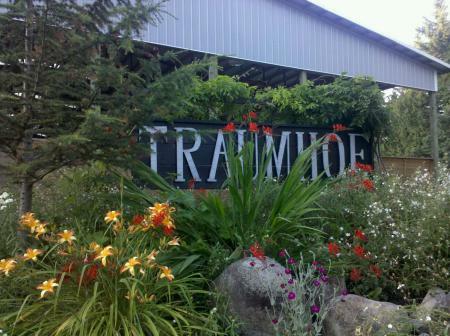 Traumhof has transitioned to a private facility with just 8 horses. We are offering a unique opportunity to bring your horse to a wonderful facility, trading your labor for board. You need to be an upbeat, reliable, thorough, self-starter with solid horse experience. In addition to large (12' x 15') stalls, we have a covered lighted round pen (60' x 60') and a large covered lighted arena (80' x 204') with sound system and 80' x 6' of mirrors - great for wet Pacific Northwest winter riding! The tasks include feeding the horses hay and grain, keeping their indoor water buckets and outdoor water troughs clean and full, turnout, and blanketing. Other duties include watering and raking arenas, keeping everything clean, and handwalking horses. Specific hours and days of the week are negotiable, but 3 hours each morning per weekday is a general starting point. Extensive horse experience and solid references mandatory! 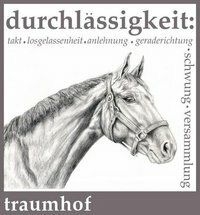 At Traumhof, we're passionate about caring for horses and take great pride in providing them with the best living environment we possibly can. They have big stalls in an airy barn, get daily turn-out in clean hog-fuel paddocks, are fed at least 7 times a day, get warm water throughout the winter months, and are generally treated with care and respect from everyone. Visitors often remark how happy all the horses seem. You won't see any hiding at the back of their stalls - they'll be up front, wanting attention and begging for treats. Come visit and see for yourself! We have hosted clinics with Shannon Peters, Steffen Peters, Debbie McDonald, and David Blake, and regularly host clinics with Christine Traurig, Lientje Scheuler, and Jesse Sommerville. See our Facilities page for more details!